What is hail damage, and how do I find out if my property has been affected by the storm? My claim was denied or only partial repairs were given, what do I do now? Is this a scam? Are you cheating my insurance company? Will filing a claim affect my homes value? What is hail damage, and how do I find out if my property has been affected by the storm. When driven by high winds, marble size hail and larger can cause substantial damage to roofs, A/C units, paint and window screens. It only has to hail for a few seconds to cause damage. Damage to a roof is not always visible from the ground. Composition asphalt roofs suffer granular loss. Granular loss causes premature cracking of the protective asphalt underlayment, significantly decreasing the life of your roof. Roof damage should be accessed as soon as possible after the storm. Damage from hail can comprise the value of your roof. Ignoring this damage could possibly lead to severe problems in the future, including leaks during heavy rains and greatly accelerated roof deterioration during exceptionally hot months. In order to make an accurate assessment the inspector must be willing to get on your roof and examine the shingles from close range. Although identifying hail damage is partly subjective, the Haag Engineering company has established a criteria and procedure for assessing hail damage the is use industry wide among insurance companies. All contractors should be using the same criteria as well. Wind driven hail often dents air conditioning coils, windows, wooden pediments, gutters, fascia and stucco. Typically your insurance carrier is going to want to see collateral damage on other areas of the home to make an initial assumption that the roof is indeed damaged. Frequently, this collateral damage goes unnoticed, until it is pointed out and identified by a trained expert. Have the exterior of your home inspected by one of our professionals to be safe. There is no charge for this inspection. How do I file a claim with my insurance company? Call your insurance agent and submit a hail claim for the October 5th, 2010 storm. You will be assigned an adjuster and a claim number. Your adjuster will call you and set up a time to meet with you and the contractor of your choice. Your contractor and adjuster will jointly inspect your property for insured damage. The inspection will inspect your roof for signs of hail damage. If he/she can find a sufficient amount of bruising or breaks, your carrier will pay for a new roof, less your deductible. My claim was denied or my insurance carrier only paid for some repairs, what can I do now? In most cases you are entitled to two inspections by 2 different adjusters representing your insurance company. Denied or partial claims often stem from insurance companies changing the scope of what they are covering under their hail policy. Initial inspections, especially those performed without a contractor present to advocate on the homeowners behalf, are often held to more stringent guidelines. If you notice neighbors getting substantial amounts of work done to their homes, have your home inspected by a knowledgeable contractor. If the contractor feels there is more damage than noted in your first adjustment, call your carrier and request a re-adjustment. This is not an unusual request so do not be afraid to exercise this right. Have the second adjuster meet with your contractor of choice and jointly re-inspect the your home. Is this a scam? Are you cheating your insurance company? No. This is not a scam by the contractors. Neither a contractor nor a homeowner can convince an insurance company to pay out thousands of dollars for hail repairs unless the damage is identifiable and significant enough to satisfy predetermines thresholds established by your carrier. All a contractor can do is provide an expert eye during the adjustment process to assure that any and all damage sustained by your property is properly identified and compensated for in the adjustment phase. Will my premiums increase if I file a claim? No. Individual insurance rates are not adversely affected by filing a claim for hail related damage. Hail claims are deemed an “Act of God” under the terms and conditions of your policy, your individual policy with not increase. 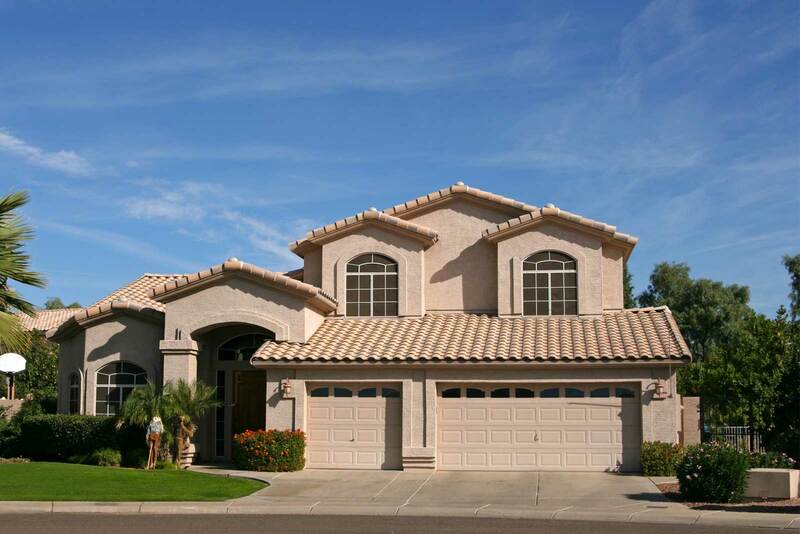 Make sure the contractor you choose is a licensed contractor in the State of Arizona. Avoid contractors asking for down payments before construction begins. Make sure your contractor is insured and can provide written notification of their insurance policy. Make sure your contractor is local to the Valley. There are many contractors who have coverage on our area posing as local companies, but in fact not. Beware of contractors who do not have local license plates, who are unfamiliar with your area, or who are not listed in the yellow pages. Make sure your contractor is using brand name roofing products. Stick with the names you know in roofing ElK, GAF, Tamko, and Certainteed are some of the well known and respected manufacturers in the roofing industry.